frequency. For example, it can output 10.000000000001MHz signal). Various modulation types: AM, FM, PM, ASK, FSK and PSK modulations. VCO Function (Voltage Control Output). The minimum output amplitude is 1mV , minimum amplitude resolution can be up to 1mV. Precisely adjust the phases of the two channels, Precision can be 0.01°. 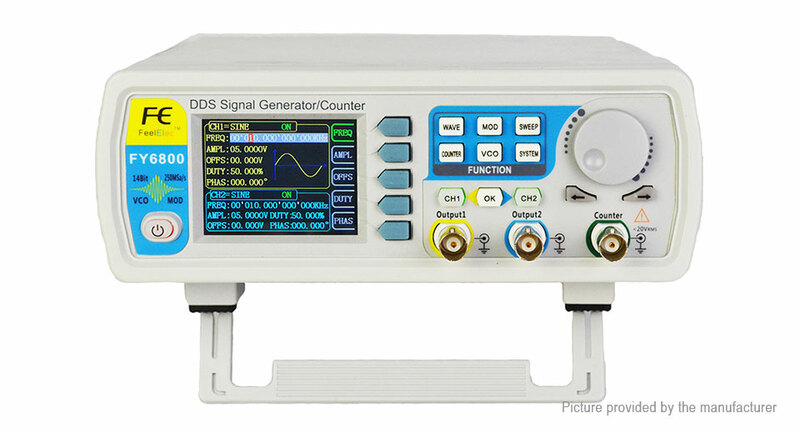 Duty cycle of each channel can be adjusted separately. Precision can be 0.01%. Easy to use, powerful PC Software.